Border Patrol Agents are teaming up with local police departments across the Valley to protect the community on horseback. Several agents and officers are currently in a two-week horse patrol unit training where they are learning how to patrol and protect with their new four-legged partners. 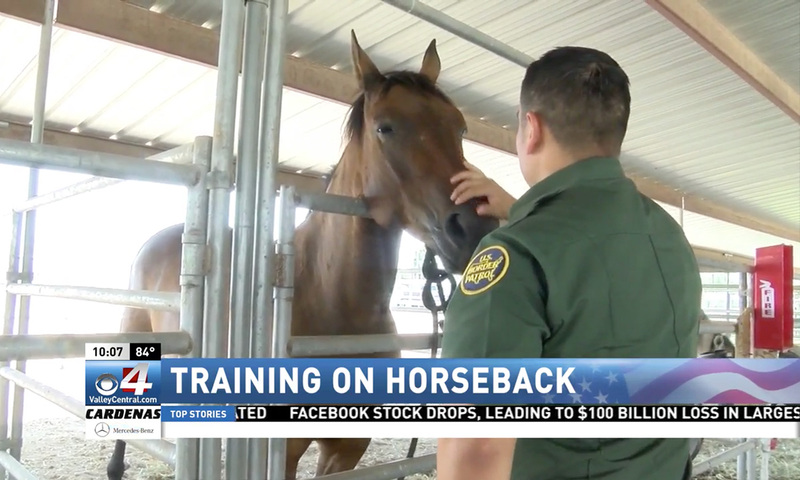 “Now we know we have a fellow law enforcement agency that is capable of handling horses, it’s a force multiplier,” said Manuel Torres, Supervisor with the UCBP RGV Sector Horse Patrol Unit. The department hopes to continue training deputies, officers and agents in an attempt to work together to reach a common goal. “It adds more to the community because they’re going to be able to conduct search and rescues, we can assist them now that they have it, they can assist us, so it’s a win-win,” said Torres.